December 5th in Plugin Lists by Wordpress Jedi . Blackjack: adds a HTML5/jQuery based Blackjack game to your site. Simply insert the shortcode on any page, and the rest is easy. The pro version has more colors, better bets, strategy hints, and other convenient features. 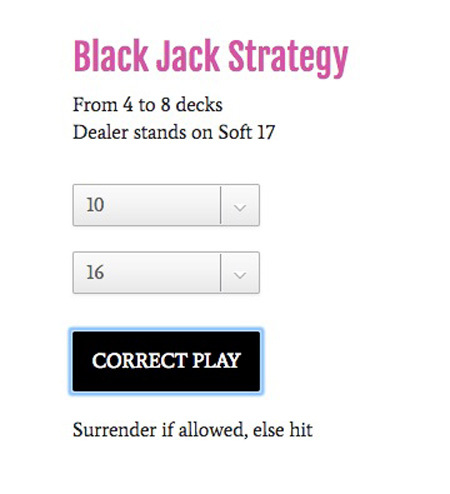 Black Jack Strategy Guide: a handy plugin that helps you become a better Blackjack player. It suggests what to play based on the cards selected. Stay tuned as we will cover more Blackjack WordPress plugins here in the future.